France’s centrist leader is struggling to maintain support for his ambitious reform program. French President Emmanuel Macron’s approval ratings have plummeted following the firing of a senior security aide, who faces charges and a Senate probe for assaulting protestors in May. In July, popular French newspaper Le Monde published video footage of President Macron’s senior security aide Alexandre Benalla kicking and dragging two protestors. The report has had serious repercussions for Macron and his government — it has since become apparent that the president’s office was aware of the assault well before news broke. However, Benalla was only fired once the story was made public. The incident is a clear breach of the president’s campaign promise to transparency. Macron accepted full responsibility for the scandal. The admission resulted in fierce opposition within parliament, allowing his political opponents to come to the fore, and suspending debates regarding the president’s constitutional reforms. Now 15 months into his five-year term, it appears Macron’s momentum is grinding to a halt. His next round of reforms, focused on public administration, the healthcare system and pensions, may not pass through the National Assembly. Macron’s approval ratings are at their lowest ever. They have now dipped below 20%, lower than those of former President Francois Hollande at the same point during his term; Hollande went on to become the country’s least popular president in history. In light of the Affaire Benalla, the president’s controversial reforms will now become all the more difficult. Macron’s political future is dependent on his ability to lower the still high unemployment rate, find a solution to the migration crisis, and reduce public spending. Having never before held elected office, last year’s election of Emmanuel Macron and his new centrist party La Republique En Marche (LREM) was unprecedented in French politics. The president’s core goal of cutting unemployment has yet to come to fruition, and France’s unemployment rate of 9.5% remains amongst the highest in the EU. Nonetheless, this figure is expected to drop to 8.5% in 2020, indicating relative — albeit slower than anticipated — success in this domain. 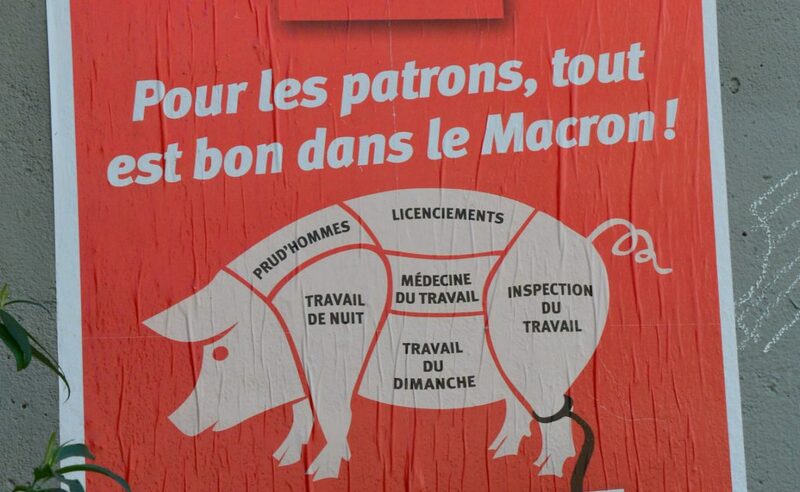 But overall, Macron’s ambitious reform agenda continues to be met with significant opposition, mainly due to the focus on upheaving France’s longstanding labour laws and cutting corporate taxes. His reforms are ambitious; they constitute at thorough revamp of France’s welfare state. While Macron has been successful in making some small (yet not insignificant) changes in this domain — including reforming the labour market, the tax system and France’s national rail company, the SNCF — the majority of his plans are yet to eventuate. In typical French style, these changes have been met with strikes from all sides, from SNCF workers to air traffic controllers. 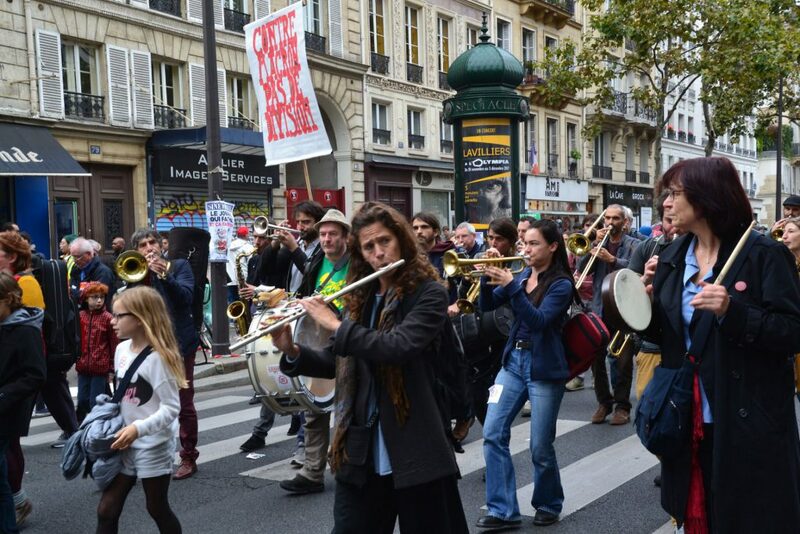 But a majority of French citizens do not side with those protesting, indicating that Macron holds some leverage, at least in terms of his reform course. Nonetheless, the president’s approval ratings continue to decrease drastically. Going against France’s longstanding history of significant unemployment benefits, he is now attempting to push the country toward a more Nordic model. The rationale is that, by loosening the highly-regulated labour market to make it more flexible, the reforms will encourage more mobility between jobs. This would make it easier for employees to be hired and fired, something that has made 78% of the French indicate their president is out of touch. This image was further entrenched after Macron suggested to an unemployed gardener that he could easily find a job if he changed sectors. On the defensive, Macron has criticised his opposition by dubbing the French as “Gauls who are resistant to change”. At home, the president’s centrist approach is being torn down from all sides. Leftists have dubbed him “president of the rich”, criticising him for his recent declaration of war on poverty while at the same time giving tax cuts to France’s wealthiest. Meanwhile, politicians on the right are accusing Macron of weakening the separation of powers for self-benefit. The opposition Macron now faces, combined with the Benalla scandal, has left him exposed. The beginning of 2019 will be crucial for Macron, with the president expected to lead the EU’s ambitious integration plans, including a more hard-line and centralised approach to illegal migration. Elections for the European Parliament in May will also be incredibly important, with 705 MEPs standing. Campaigning for the EU elections will likely begin early next year. Macron’s ambitions for a more progressive EU will depend on the outcome of the May vote. If a score of centrist and pro-immigrant candidates are elected, this will greatly assist the French president to push his agenda of EU reform. 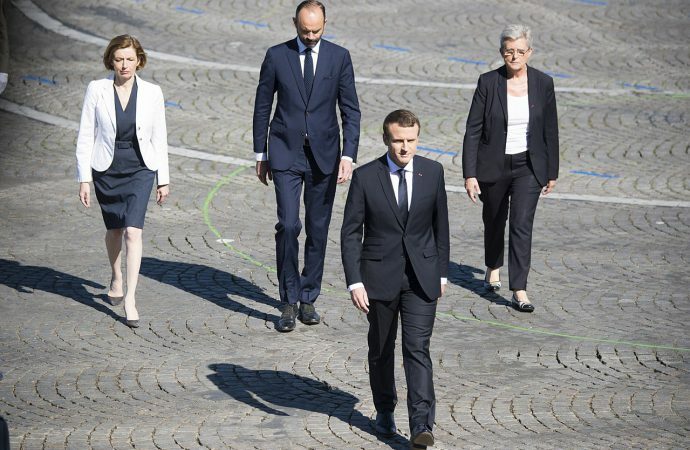 This being said, while Macron has already been reaching out to candidates, he has so far opted out of joining any of the political families in the EU, making his somewhat idealistic vision for the bloc in 2019 more challenging. While success at the EU level would greatly assist Macron, his domestic ambitions for next year will be testing. The success — or lack thereof — of the president’s proposed pension reform will be telling. His proposal to unify and centralise France’s 42 separate schemes is promising, yet highly ambitious. It will be challenging for him to consolidate opposing sides within the National Assembly on these matters and push through change. In terms of public sector reform, Macron’s plans aim to reduce public spending — France’s public wage bill is among the EU’s highest, at 13% of GDP reduce public debt and improve state efficiency. But for the immediate future, the budget deficit is expected to increase due to slowing growth and reforms to the tax system. Despite the Benalla scandal, Macron possesses all the means to push through his ambitious and controversial reforms. Ultimately, this remains the preferred option for most French citizens and, with a further three and a half years in office and a substantial National Assembly majority, Macron is likely to achieve many of his goals.